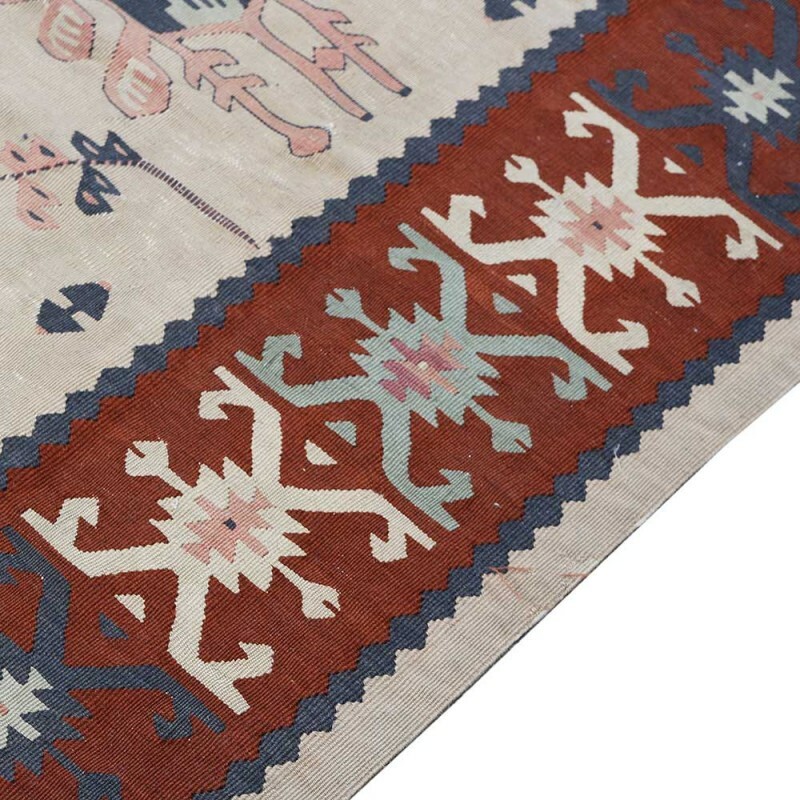 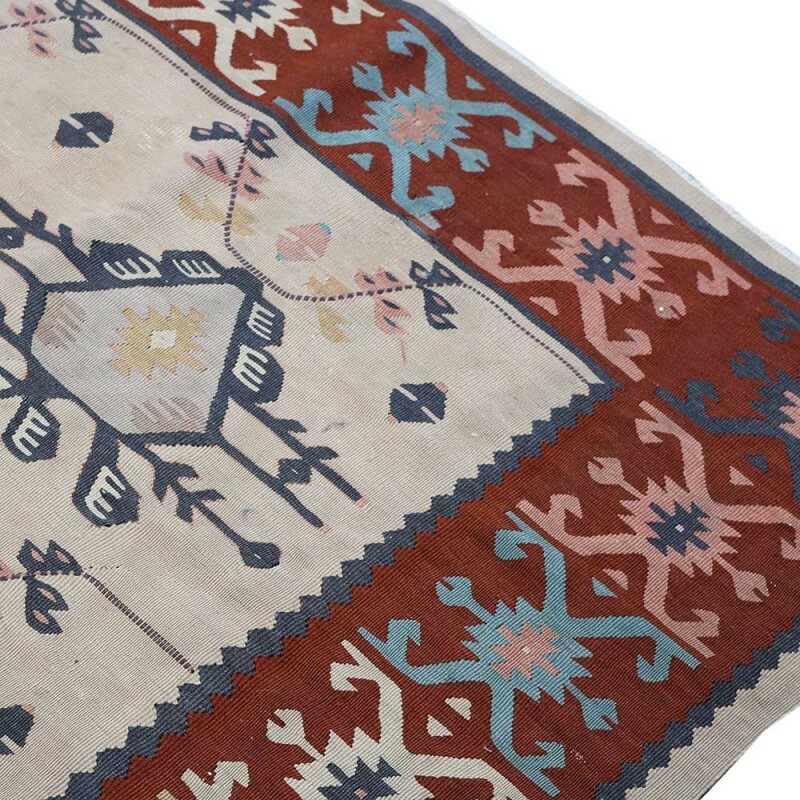 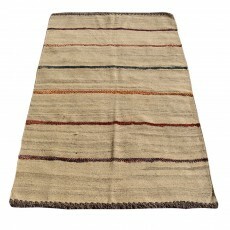 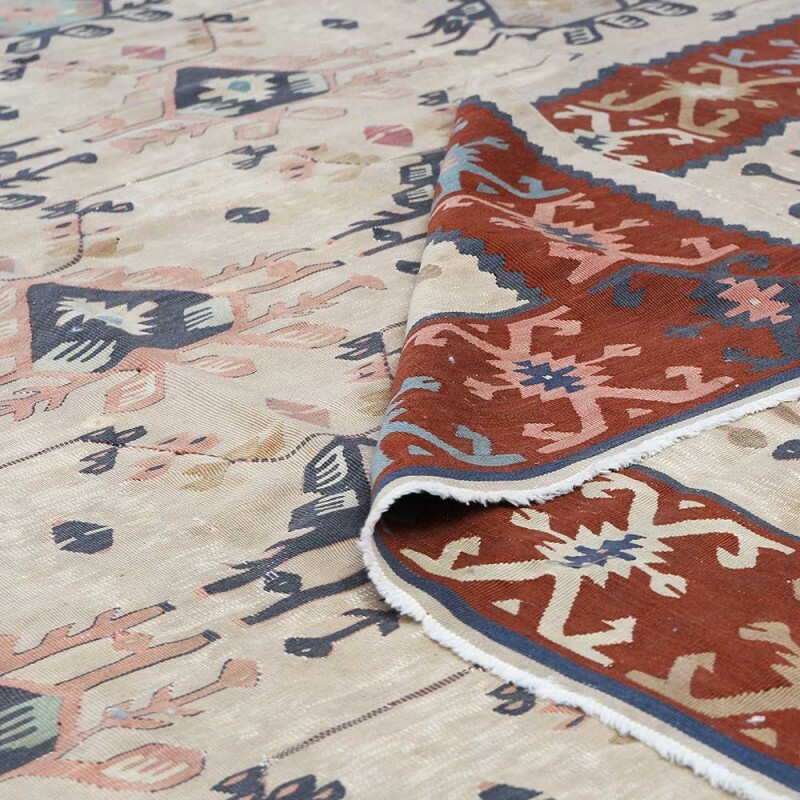 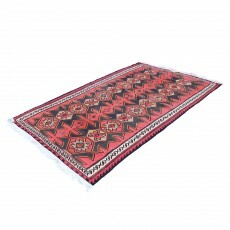 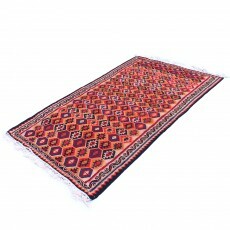 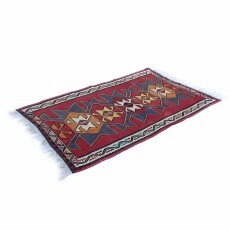 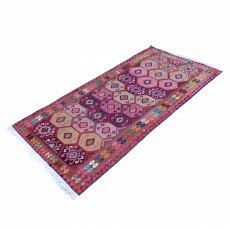 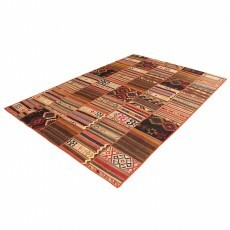 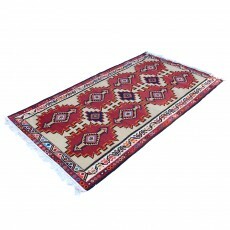 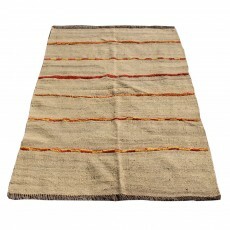 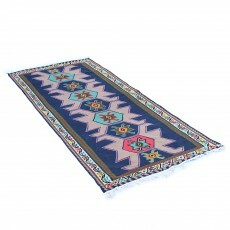 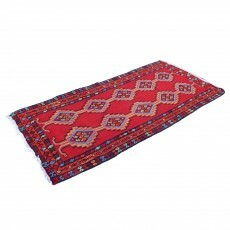 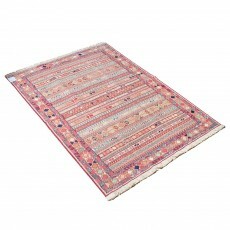 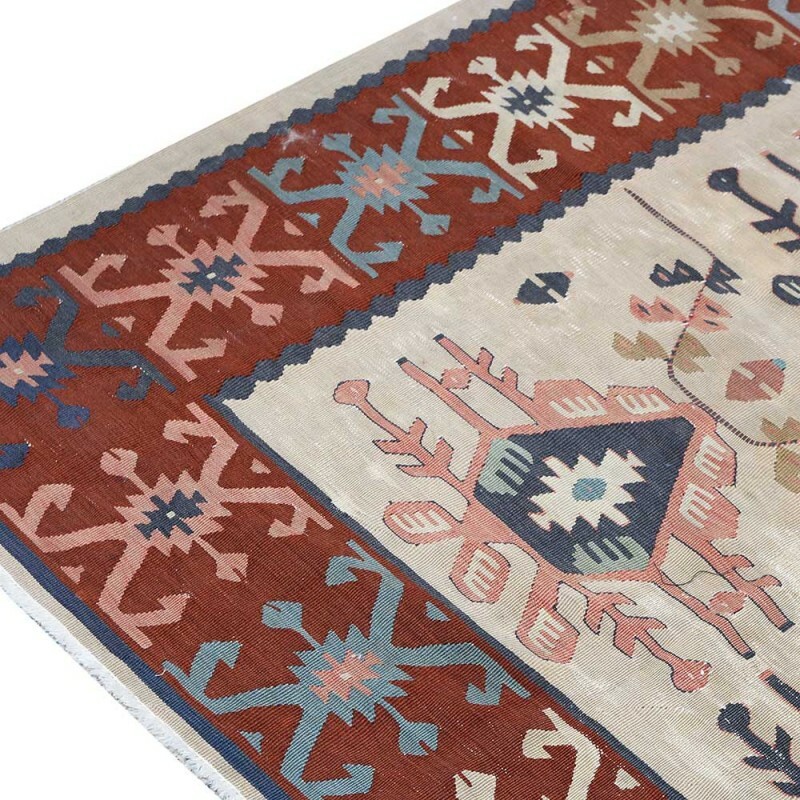 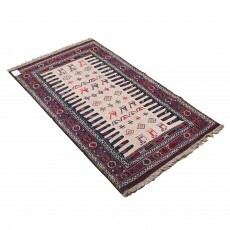 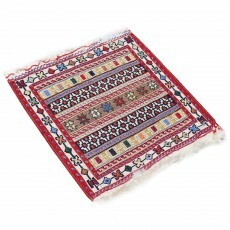 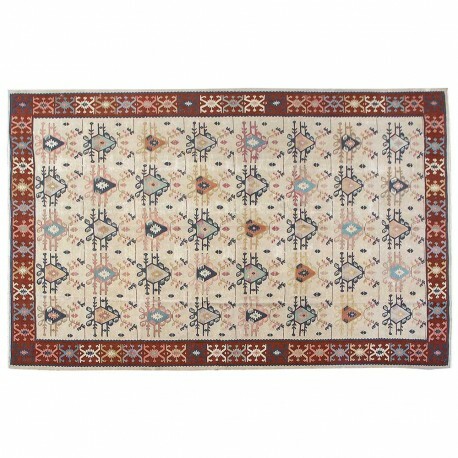 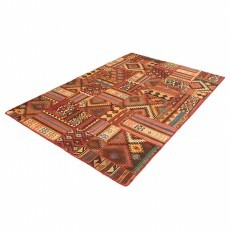 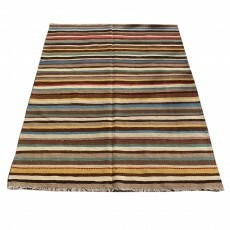 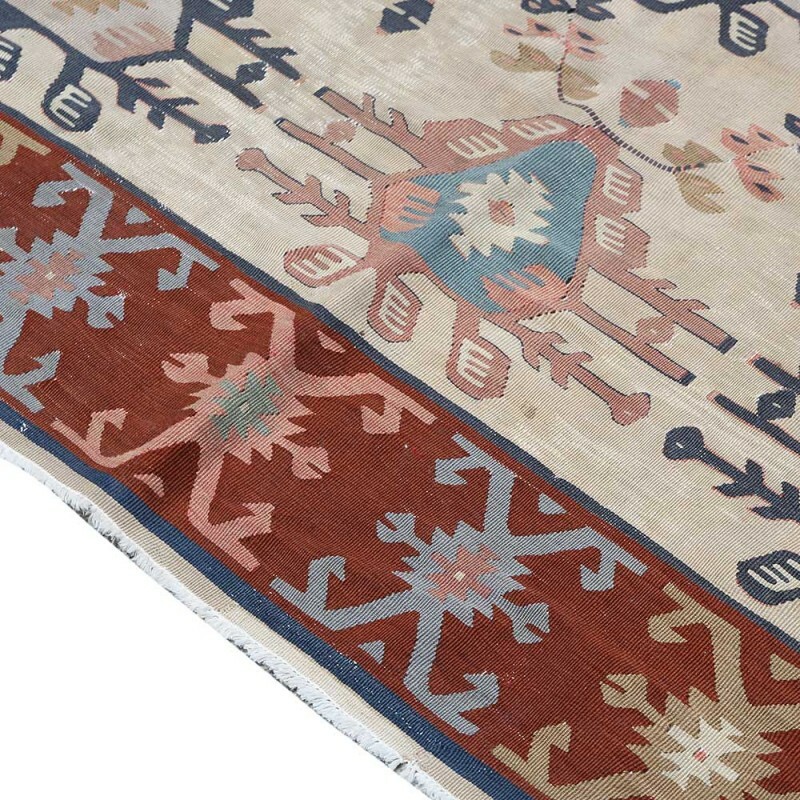 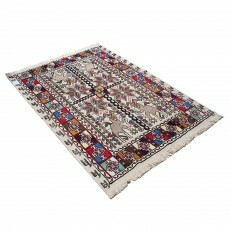 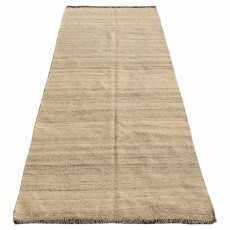 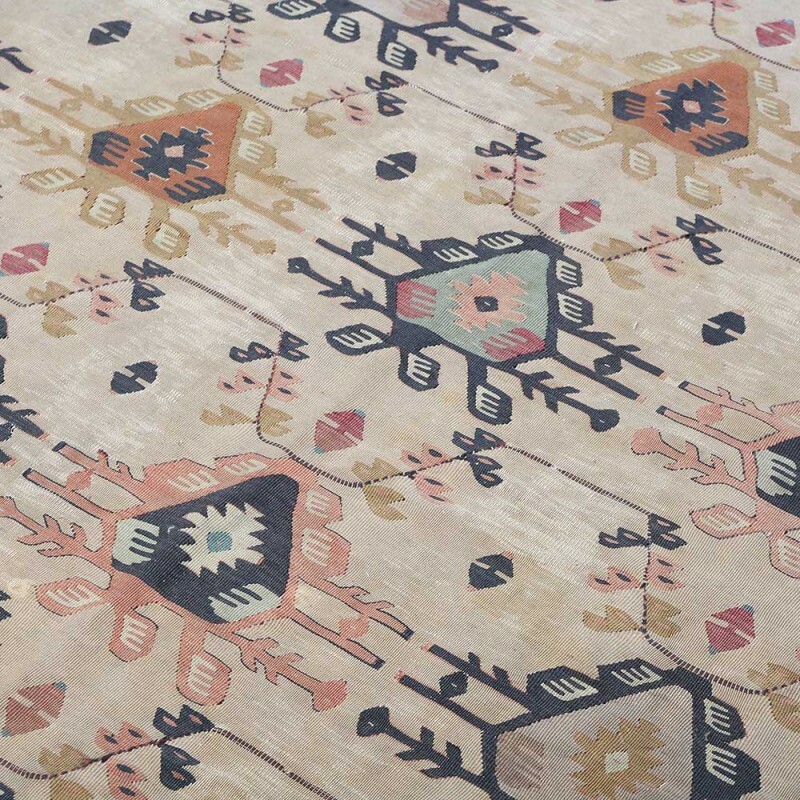 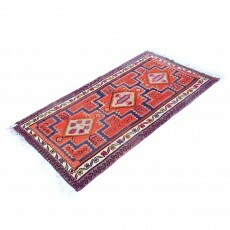 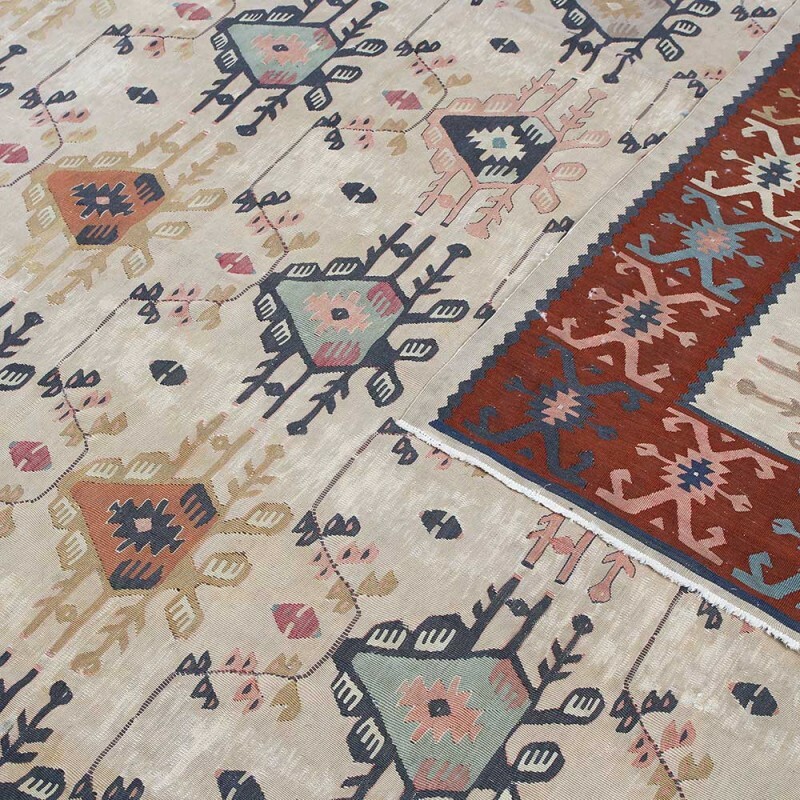 Kilim is a Turkish word that refers to flat-woven rugs. 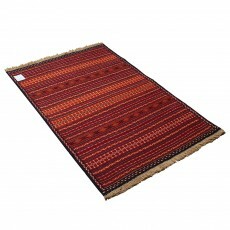 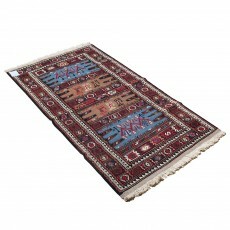 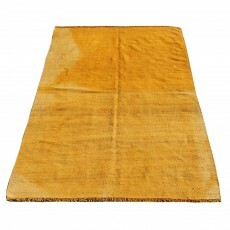 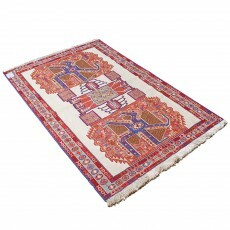 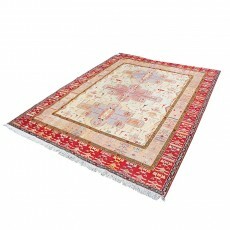 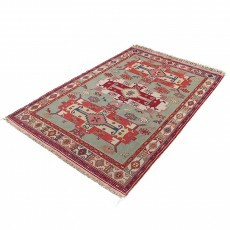 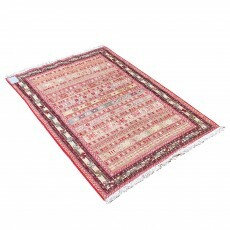 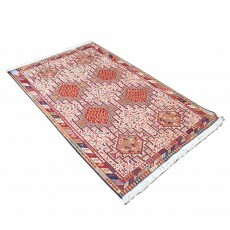 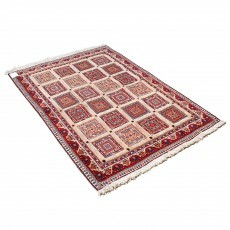 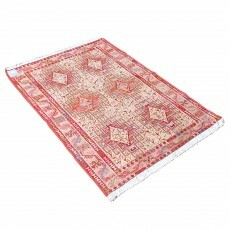 The difference between rugs and kilim is that kilim is made by interweaving the variously colored wefts and warps. 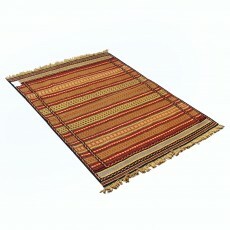 Kilims are woven with a special technique in which the warps are more widely spread, and the wefts are packed densely to completely cover the warp threads. . Like<span> </span>pile rugs, kilims have been produced since ancient times. 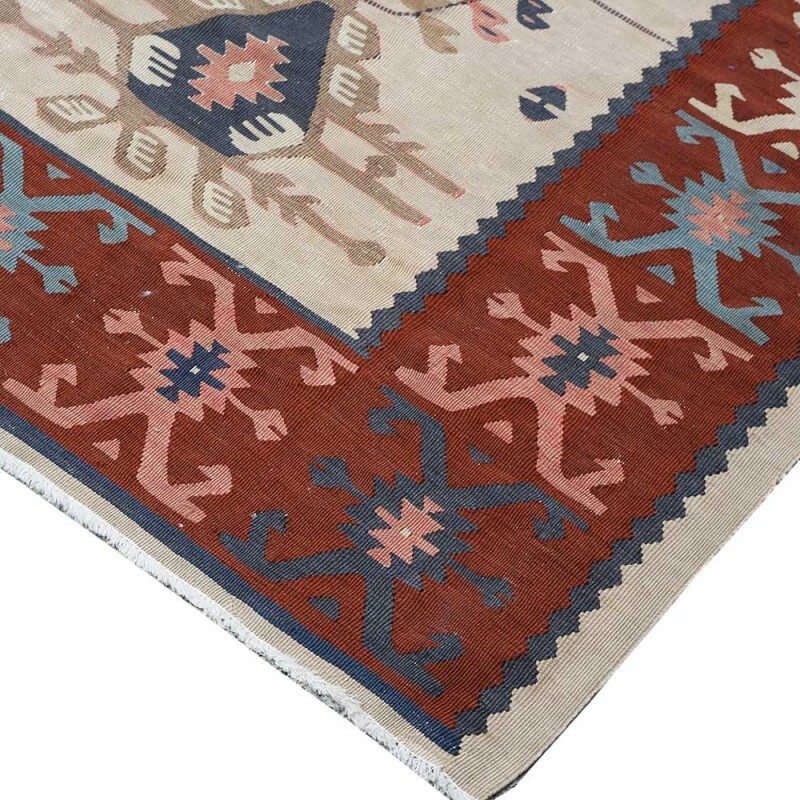 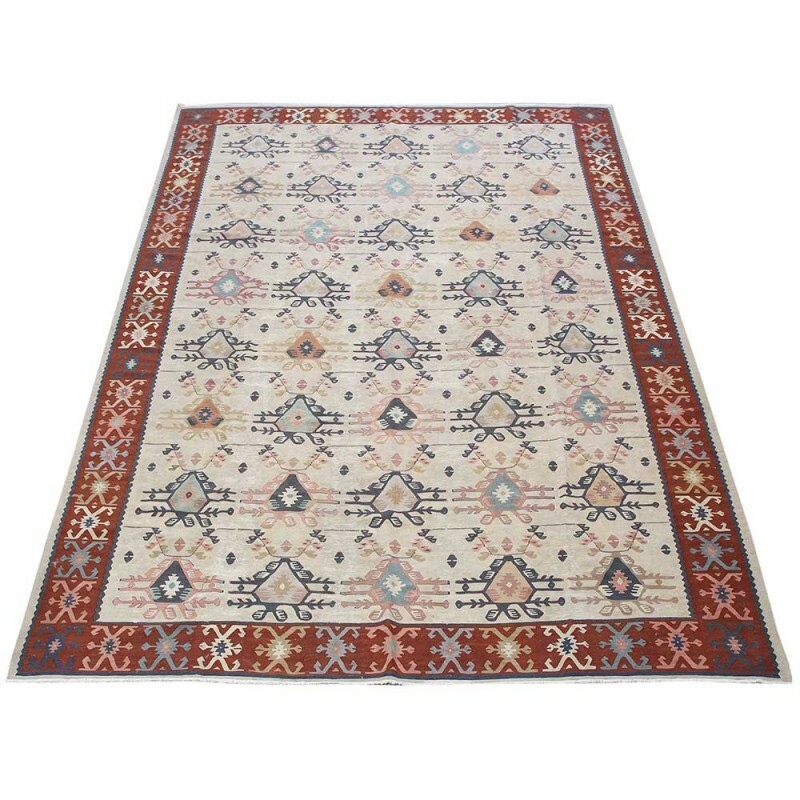 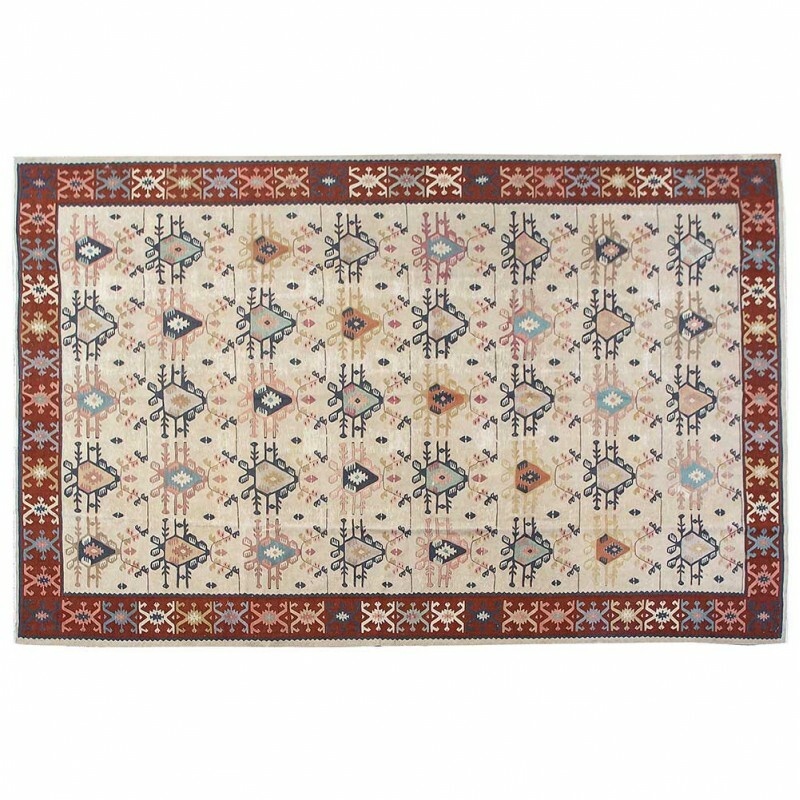 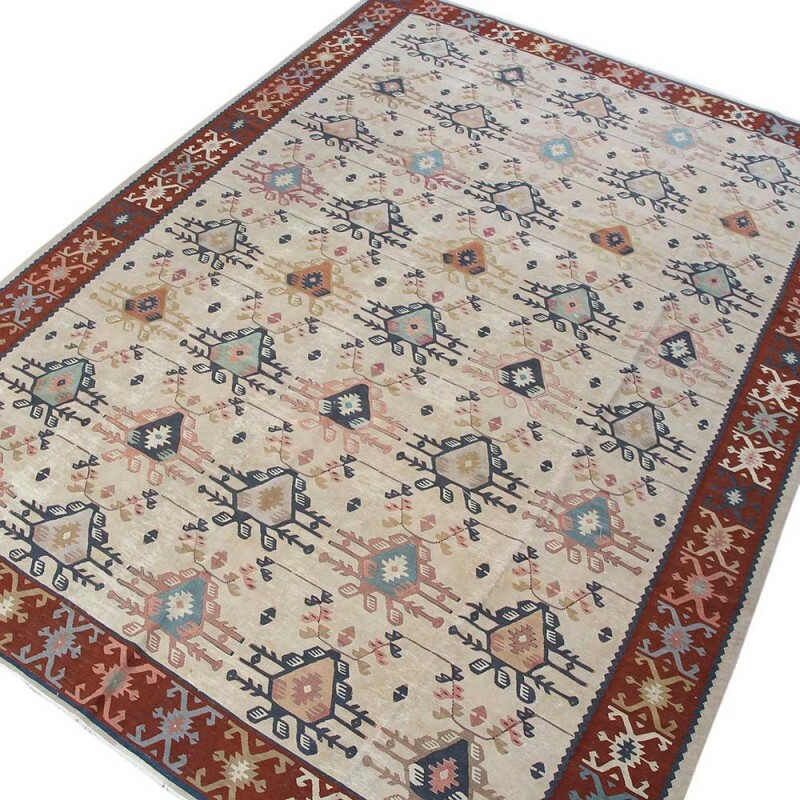 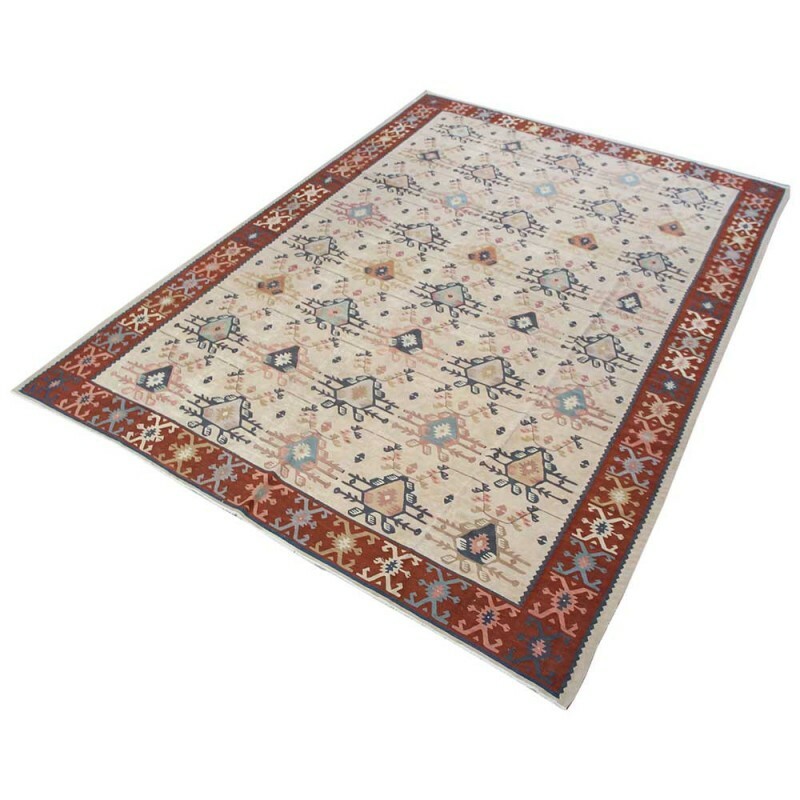 But due to they don’t have pile to protect warps and wefts, they are not as durable as pile rugs so just few of vintage kilim have remained. 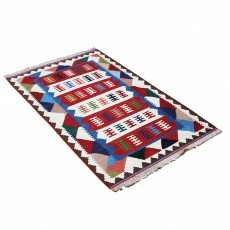 That is why they are so valuable.